There's an old axiom that says, "Give a man a fish and he eats for a day. Teach a man to fish and he eats for a lifetime." However, the Women's Programs Centre in Gaza's city of Rafah believes it should be rewritten this way, "Teach a woman to fish, and everyone eats for a lifetime." 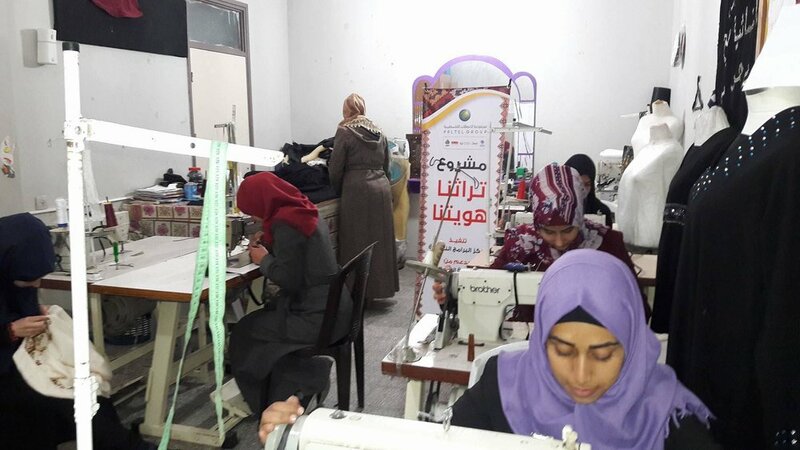 The Women's Programs Centre - Rafah, was originally established by the UN Relief and Works Agency for Palestinians (UNRWA) but now operates independently while maintaining their UN affiliation. 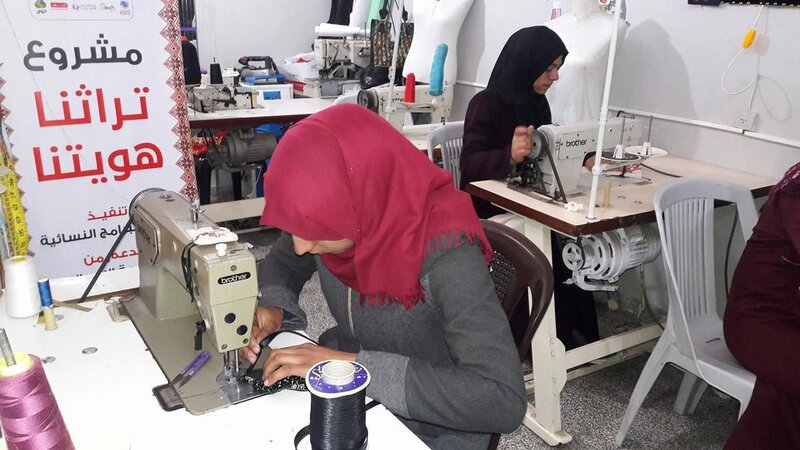 Registered as a Palestinian Non-Governmental Organization, the Centre focuses on helping women and their children develop the skills they need to better function and support themselves. It's a significant challenge: The Strip overall has the world's highest unemployment rate (46 percent), but women struggle the most; only 15 percent of adult women are currently in the workforce, compared to 71 percent of men. This disparity stems from both the Israeli-Egyptian blockade of Gaza, which severely limits the number of jobs available, and the conservative culture. The Women's Centre's approach is similarly multi-faceted. "We know that investing in a woman has social and economic returns that extend not only to her family and future children but also to her community. That's why we offer women education and training in a variety of skills, as well as psychological, health and legal counseling," says Najah Ayash, who founded the Women Programs Centre in 2002. "We listen closely to the women and children with whom we work to make sure their voices, concerns and suggestions are heard and incorporated." One of the center's success stories is Hana Hassanein. The mother of six children was forced to search for work when her husband's knee was injured two years ago. Despite the surgery that followed, her husband is unable to walk well or to work in construction as before. Struggling to support both herself and her family, Hana learned how to do "sale quality" embroidery though a center course. She now has started her own business, which she calls Taqesh (“smocking,” an embroidery technique used to gather fabric into small folds.) She has found buyers for her work among her neighbors and the center's customers. Hana now is able to live independently, even though her project is only slowly expanding due to a shortage of thread and other materials. "My wishes don't differ than those of any woman in the world. I just wish to have a normal life and help my family. I'm glad the Women's Programs Centre was able to show me a way to do that," Hana says. Najah adds, "[The center] contributes embroidery as much as we can to all exhibitions in Gaza and the West Bank. We've displayed and sold our women's work twice in Jerusalem and Ramallah in partnership with the U.S. consulate. Everything sold and our women were really happy to receive money in return for their hard work." Unfortunately, when the center was invited to participate in a folk-art exhibition in San Francisco, Israel denied Najah a permit to leave Gaza. She did, however, manage to send some of the women's work out with a friend. It all sold. Other skills-training programs offered by the center include training in cosmetology, computer programming and e-commerce. 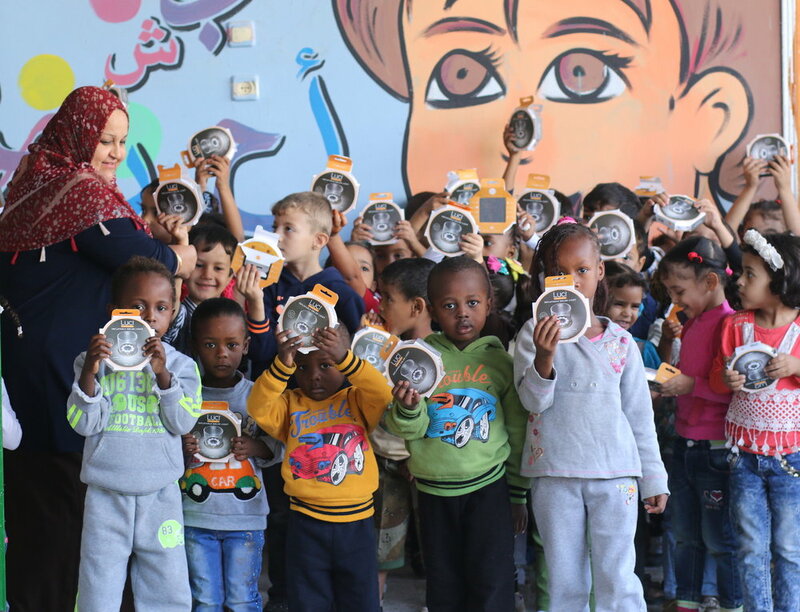 Recognizing that many practical challenges in Gaza prevent women from operating businesses, as well as doing other essential tasks, the Center partnered with an American NGO, Rebuilding Alliance, to distribute solar-powered lights directly to families in need. With the help of her son and her husband, Najah personally went at night to Eraiba, an overlooked rural area in Rafah to distribute lights to unlit houses. “I also gave them to children at schools so that they can do their homework and safely play in the dark, to elderly men who go to the mosque to pray at night and to cancer patients who must wake up when it’s dark to take their medicine. 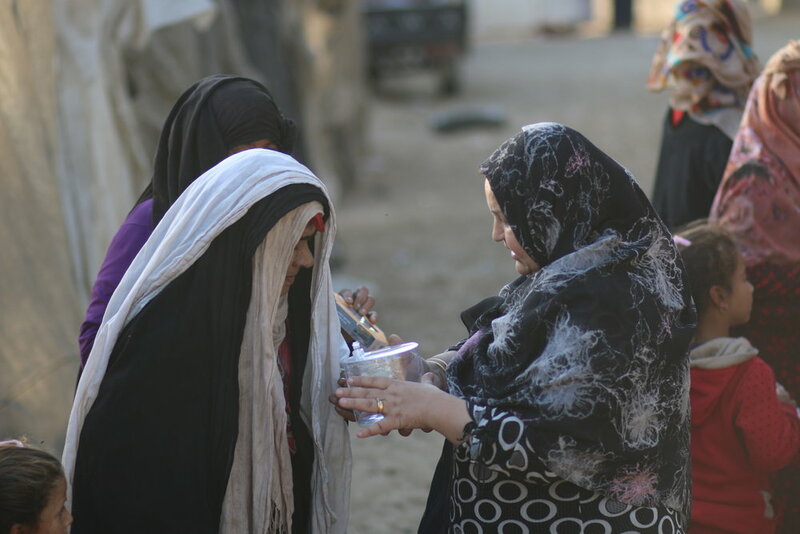 I gave them to women who embroider, to keep their work going even when there is no light, because life is put on hold when the sun goes down and the electricity is shut down. But these lights change that. We call the solar lantern Nur al-Amal (Light of Hope)." "I wouldn't have been able to make my deadlines without this light,” says Bothiana Alhela, one of the women who embroiders for the Women's Program Centre. “Sometimes customers ask me to finish the embroidery very fast. Thanks to this light, I do it." Meanwhile, to protect women's rights in both the workplace and at home, the center offers the support of a specialized lawyer who is prepared to go to court on their behalf if necessary. Likewise, medical and mental health services are available when sexual harassment occurs. "One of the kids to whom we provide our services was very introverted and unable to concentrate," Najah recalls. "Through some of her drawings, however, our social worker was able to figure out that the girl had been harassed. We contacted the mother, who didn't know what to do. We accompanied her to a medical specialist, who examined her daughter. Although no sign of molestation was found, the girl opened up to her mother and told her that one of their neighbors used to take her away and touch her body." Najah explains that the center can transfer girls to hospitals with the right kinds of doctors with confidentiality, since social taboos often prevent these incidents from being reported. The girl's mother recalls, "I was very upset. We live in a very conservative society. I knew stigma from something like this can accompany my daughter throughout her life. I'm now more attentive and careful with my daughter." It's this kind of sensitivity to culture and norms that makes local nonprofits-versus the larger, international organizations-so vital to so many types of services. Another woman, Hanan, suffers from chronic disease and doctors advised her to lose weight. However, she didn't have enough money to enroll in any gym. The center offered her free access to its sports programs. "The role of local organizations is often overlooked, even though we are as effective as international organizations," Najah says. "It's true that local organizations operate on very small budgets, but we have a better understanding of the local context than outsiders. We understand the problems, what will work and what won't."